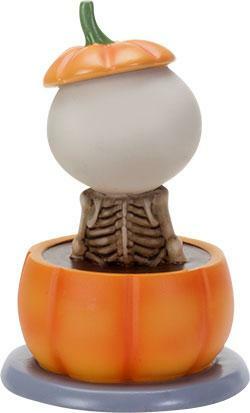 Lucky Jack O Lantern Skellies Figurine [8784S] - $16.49 : Mystic Crypt, the most unique, hard to find items at ghoulishly great prices! 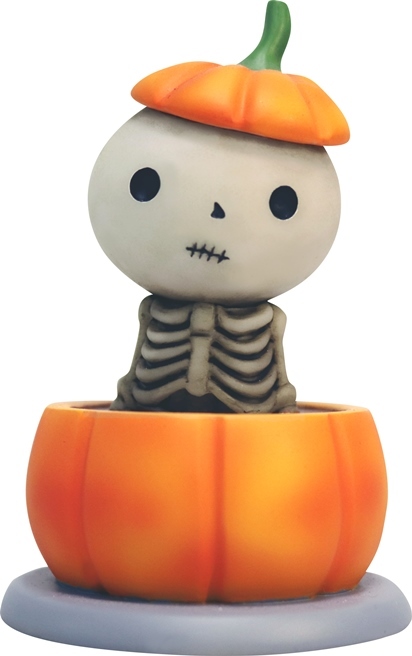 Lucky Jack O Lantern Skellies Figurine. Lucky Eustus Zounds (born Friday June 13th, 1913) can't get a break. Died young, struck by lightning, but unable to leave this world (go figure) in a perpetual mishap. He inadvertently draws everyone's bad luck upon himself, but he doesn't mind. Lucky gets ready for Halloween! Meticulously Crafted and Masterfully hand-painted, sculpted, and cast in high quality resin. Great for any Goth collector, children, or the young at heart. These figurines are adorable, and make great gifts as well. Approximate Dimensions: L: 2.25" x W: 2.25" x H: 4"
Find more Gothic Decor, Dragons, Gargoyles, and Skulls at Mystic Crypt!